Today is the holiday that most people partied all weekend to celebrate. How many of you are actually sober enough or not hung over to enjoy it? We hope everyone enjoys themselves and shows their appreciation for current military service members and veterans. Please also remember our fallen war heroes on this special day during your Memorial Holiday commemorations. This blog post will help you when choosing some of the best mixtapes out for your listening pleasure. Many people are excited about the next installment in Marvel’s film franchise. 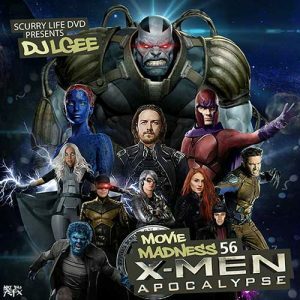 DJ L-Gee drops off part 56 in the “Movie Madness” music download series, which is the “X-Men: Apocalypse” edition presented by Scurry Life DVD. Check out free mp3 downloads on this volume of the collection by Sadaday, Fat Joe, Maino, Uncle Murda, Styles P, Pokerface, Young Greatness, Lil Wayne, Sheek Louch, YG, Drake, Cam’ron, Juelz Santana, Dyme-A-Duzin, Fabolous, Continental Five, Dave East, Gloria Velez, and much more on this 25-track drop. Mr. 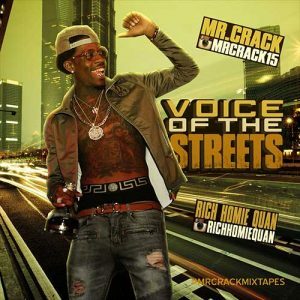 Crack, who frequently releases many of the top mixtapes on the streets, brings you number 2 in the series titled “Voice Of The Streets”. Rich Homie Quan is the star of this edition with guest appearances from Boosie Badazz, Tony Michael, Don Cannon, Lil Uzi Vert, Skeme, Ca$h Out, Tank, Slim Of 112, Rich The Kid, Fabolous, Young Dro, Jim Jones, A$AP Ferg, and Desiigner. This DJ always gives shout outs to people that pick up his releases on Instagram, so be sure to let him know which products you scooped up of his. 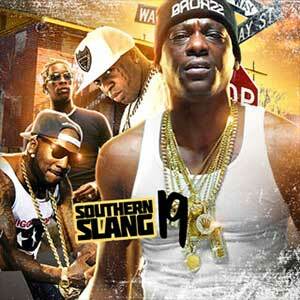 The Empire is back in the game with volume 19 of the “Southern Slang” franchise. 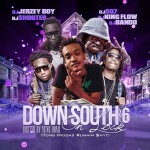 If you’re looking to find some of the best tracks currently being played from the dirty south, these mixtapes will aid in your search as they are a compilation of the newest records in the southern states. This 19 song edition contains free music downloads by Young Thug, Kevin Gates, Rocko, Migos, Trouble, T.I., Bankroll Fresh, 2 Chainz, Lil Yatchy, Solo Lucci, Chance The Rapper, Future, Young Dolph, Webbie, and other hip hop rappers. 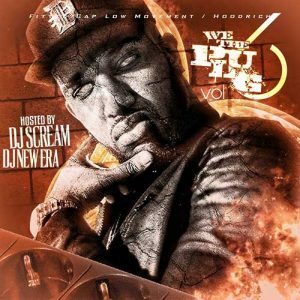 DJ Scream of Hoodrich Entertainment and DJ New Era of Fitted Cap Low Movement collaborate on the 6th installment of the “We Are The Plugs” free music download library. You’ll find tracks on this volume from 21 Savage, Sauce Walka, Nyck Paul, Shawty Lo, Shy Glizzy, Nipsey Hu$$le, Young Dolph, Kevin Gates, Jibbs, Mozzy, ScHoolBoy Q, Jose Guapo, Young Greatness, Yo Gotti, and others. Be sure to use the suggested mixtapes function to browse other products related to this title. Finally, is a review for all the r&b fans out there, as well as anyone that wants to add to the romantic atmosphere. The Empire releases a 19 song playlist in the collection labeled “R&B On Demand”. The 20th installment in the series brings you new songs by Beyonce, Justin Timberlake, Lloyd, Chris Brown, Alicia Keys, Ne-Yo, Candice, Kehlani, Ariana Grande, Nicki Minaj, Alessia Cara, The Weeknd, Samaria, Ro James, and other popular musicians. We are currently working on a mobile app that should be ready very soon. If you didn’t already know, our website has a responsive design that looks very nice on your mobile device. So, if you are at home or on the go, you will be able to listen to music wherever you are. Here are just some of the newest drops available to download free for the first week of October 2014. 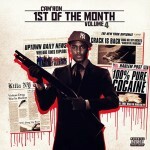 Harlem rapper Camron releases the 4th volume in his “1st Of The Month” mixtape series. This 5-track EP also has a feature from popular southern rap artists 2 Chainz. 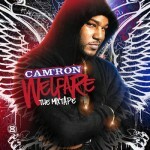 There is also a mixtape compilation titled “Welfare The Mixtape” featuring the latest hit music from Camron. Guest appearances on this mixtape include Jim Jones, Hell Rell, Slide Dillenger, Nicki Minaj, Yummy, Juelz Santana, Juju, Smoke DZA, Young Scooter, and other music recording artists. Childish Gambino releases the official mixtape project titled “STN MTN Kauai”. Featured alongside the down south emcee are Kari Faux, Young Scooter, and R.O.Y.A.L.T.Y. Production on this mixtape from Kari Faux, Childish Gambino, Ludwig, Tim Suby, Black Party, Nick Banga, and Zaytoven. 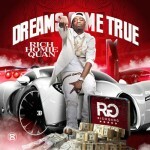 The next mixtape is a compilation of hit music from dirty south hip hop artist Rich Homie Quan. Featured on tracks with the southern rapper are Young Thug, Ca$h Out, Ty Dolla $ign, Juicy J, Propain, Kevin Gates, Money Quell, Mr Fox5, and other top performers. 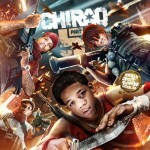 The mixtape titled “Chiraq 5” features hip hop artists that are originally from the city of Chicago. Artists on this mixtape include Chief Keef, Lil Durk, Lil Bibby, Lil Reese, Fredo Santana, Gino Marley, Ari Stylez, and many other popular music artists. 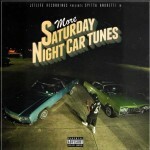 Curren$y releases the follow up mixtape to “Saturday Night Car Tunes” titled “More Saturday Night Car Tunes”. Appearances on this 7-track mixtape include Wiz Khalifa and Mac Miller.